During the summer, I like to have berries with almost everything I eat whether it be a snack (hello, yogurt), my lunch or an after-dinner treat. But really, I love berries most of all in dessert (hence why we are here). 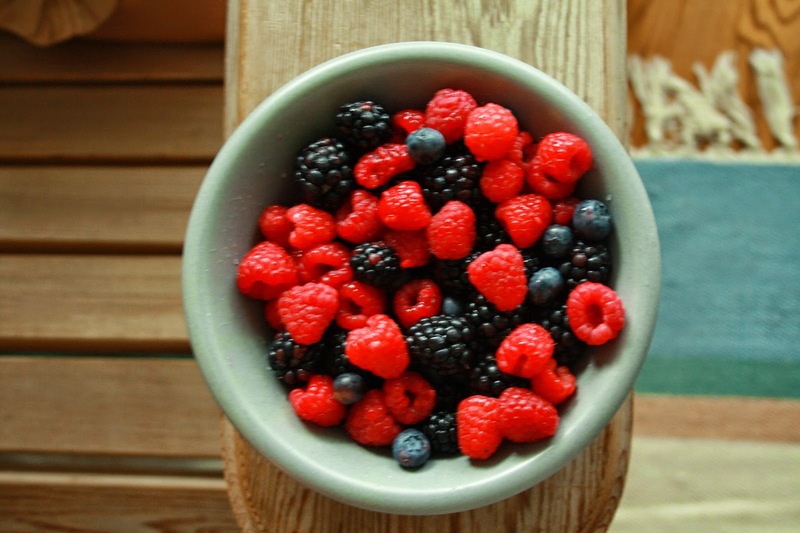 My favourite combination of berries is the trifecta of awesomeness: blueberries, raspberries and blackberries. 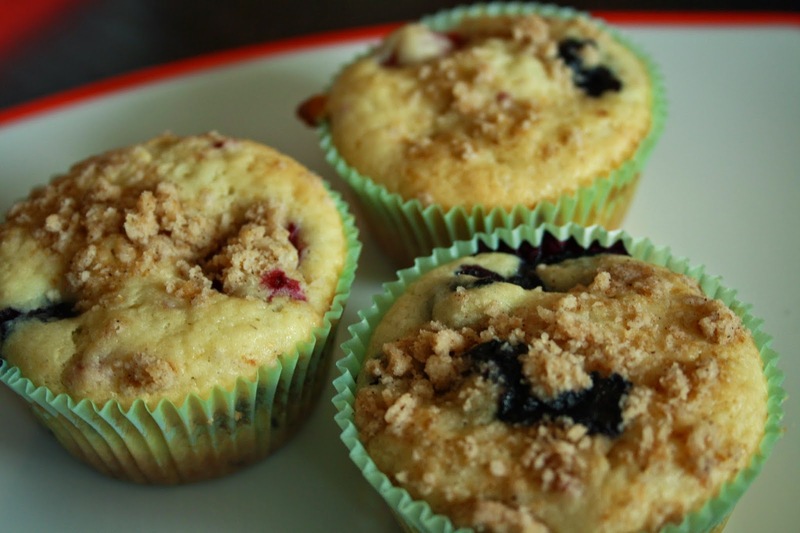 So, when I opened up Butter's Baked Goods cookbook, a lovely gift from my boyfriend's mom, I knew that their recipe for Berry Crumble Muffins was the answer to life's most important question: what is the perfect summer muffin that won't make you feel guilty about all the butter you're consuming? Ta da! Here we are. Preheat oven to 350 Farenheit. In a small saucepan over low heat, melt the butter. Set aside to cool. In a large bowl, combine the flour, granulated sugar, baking powder, baking soda and salt. Mix well to combine. Add the berries and mix gently to cat the berries with the flour mixture. In a separate bowl, whisk together the milk, sour cream and eggs. Add the liquid ingredients and melted butter to the dry ingredients and mix until just combined. Be gentle with the berries. Prepare the crumble topping: in a bowl, combine the flour, butter, brown sugar, cinnamon, baking powder and salt. 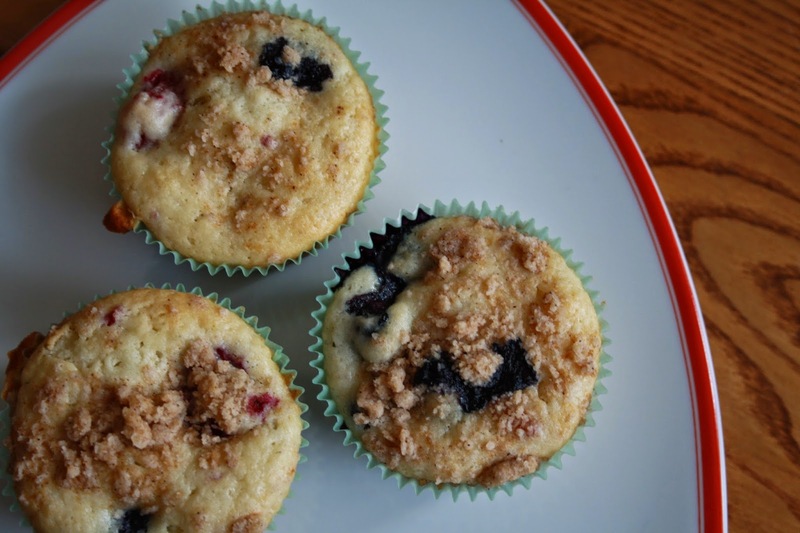 Mix with a fork until large, butter crumbs form. Set aside. Use a large spoon or ice cream scoop to divide the batter evenly between the paper liners. Sprinkle the crumble topping over the top. You will probably have a lot left over so don't feel like you have to use all of it. Bake in the preheated over for 25-30 minutes or until a wooden toothpick inserted in the centre comes out clean. Remove from the oven and allow the muffins to cool slightly in the pan, then transfer to a wire rack to cool completely.